For optimal health, we must maintain the correct balance between "good" bacteria and "bad" bacteria in our digestive systems. If we take medications, have poor diets or diseases, or live in unhealthy environments, the balance can be disrupted. Probiotics are live microorganisms like bacteria that provide us with a health benefit. They can help our bodies get back in balance. 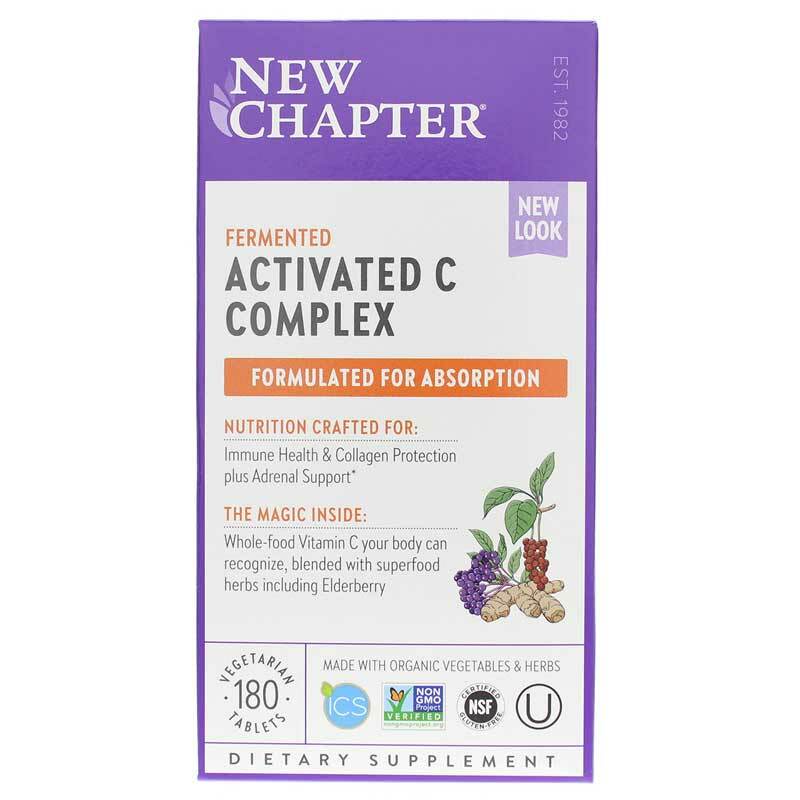 Activated C Food Complex by New Chapter is a whole food vitamin C supplement whose nutrients have been cultured in probiotics, creating whole-food complexes that the body easily recognize and digest because they are food. 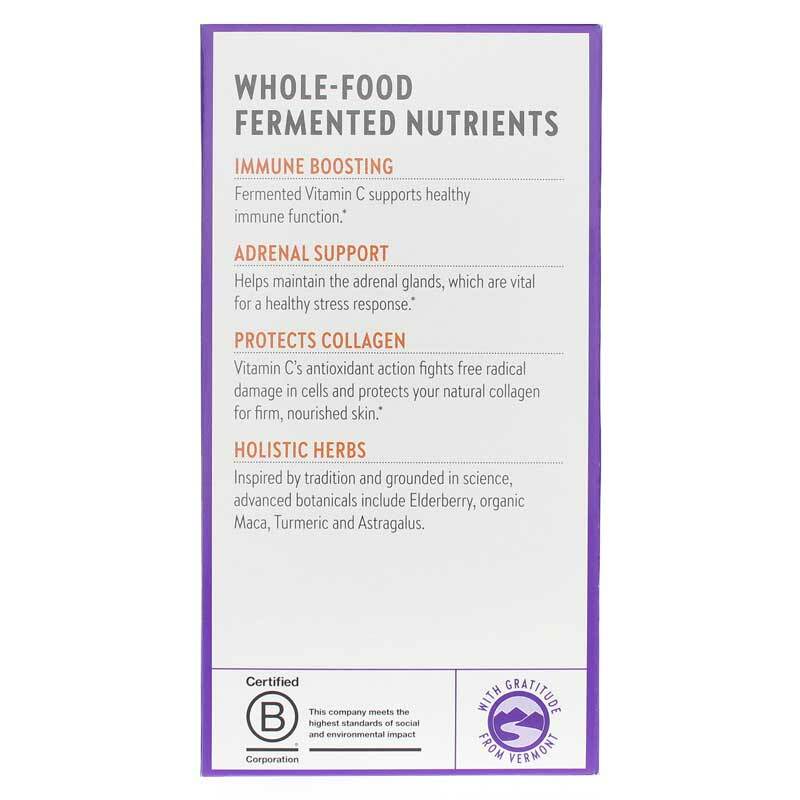 In addition to the probiotic vitamin C, there are 19 of the most revered immune active herbs and mushrooms, and antioxidant herbals to ensure wholesomeness and efficacy . Order online today! Other Ingredients: Culture media (organic soy flour [including isoflavones], organic gum acacia, organic Saccharomyces cerevisiae [active and inactive, including beta-glucans], organic orange peel powder, lactic acid bacteria [L. acidophilus, B. bifidum, L. rhamnosus], papain [deactivated], bromelain [deactivated] and organic molasses), organic gum acacia, silicon dioxide, lac resin, carnauba wax and maltodextrin. Adults: Take one tablet daily. Can be taken anytime, even on an empty stomach. 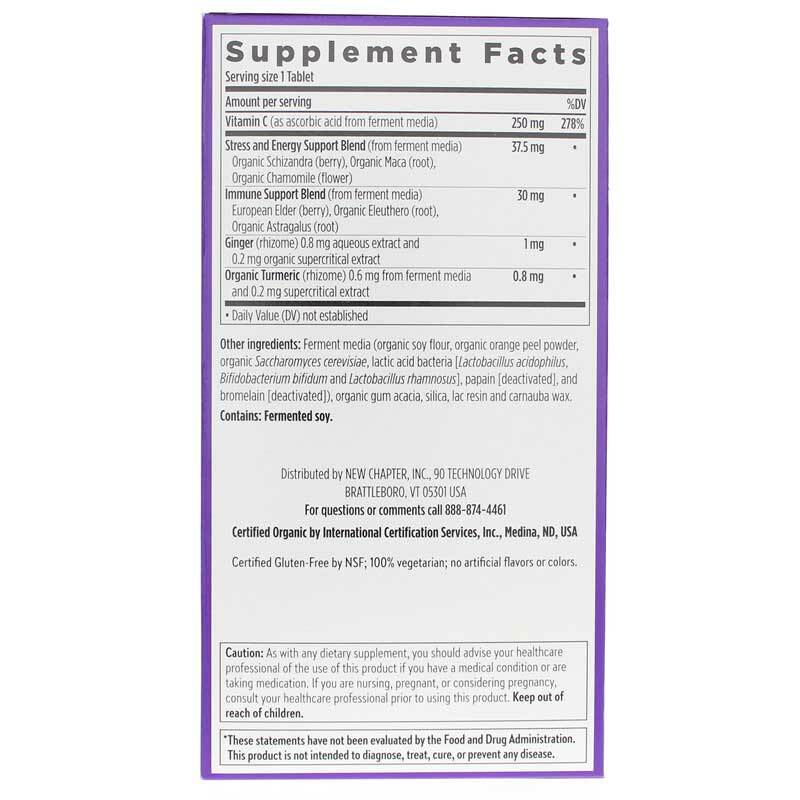 As with any dietary or herbal supplement, you should advise your healthcare practitioner of the use of this product. If you are nursing, pregnant, or considering pregnancy, you should consult your healthcare practitioner prior to using this product. Keep out of the reach of children. My homeopathic MD recommended this product as the best way to take Vitamin C for ultimate benefit.